Uzbekistan Airways has leased an Airbus A340 business jet owned by Russian tycoon Alisher Usmanov, the Uzbek flight carrier reported on October 14. The aircraft will be used as an official long-range transport for the country’s head of state. The A340, registration code M-IABU, is registered on the Isle of Man. It was previously operated by the European bizav carrier Global Jet. Uzbekistan Airways is leasing the airliner from Usmanov’s business Klaret Aviation, which is registered in the Cayman Islands. In its statement the carrier thanks the tycoon “for his agreement to lease out, and his readiness to make immediately available, the Airbus 340 M-IABU to the Uzbek president Uzbekistan’s president”. According to Flightradar24, since September 14 the aircraft has been operated exclusively from Uzbekistan’s capital city Tashkent. 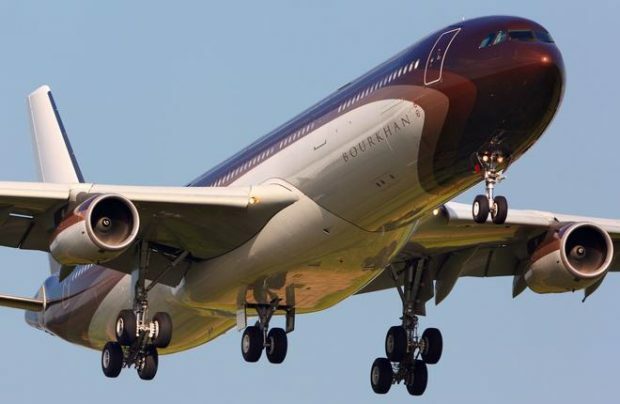 Registered on the Isle of Man in 2008, the airliner bears the first name of Usmanov’s father, Bourkhan. The A340-300’s passenger version has a flight range of 12,400 km. Production of A340 quads was discontinued in 2011; Airbus currently manufactures the A330, which is a two-engined variant. Uzbekistan Airways’ fleet includes Boeing 787s, which have a range of 12,700 km. These, however, have as two-class passenger cabin.